War-torn Damascus (above). Following Russian Federation-led peace talks between representatives of Syrian Arab Republic and the Syrian Opposition Movement on January 24, 2017 in Astana, Kazakhstan, Moscow’s envoy, Alexander Lavrentyev, welcomed the US to take a more active role in efforts to resolve the conflict. The administration of US President Donald Trump will act regarding Syria when it chooses, in an appropriate, measured way. Moscow appears eager to know Trump’s plans for Syria. It seems to be engaging in a bit of guessing on it. According to a January 24, 2017 Wall Street Journal article entitled, “Russia, Turkey and Iran Agree on Syria Truce Monitoring,” officials from the Russian Federation, Turkey, and Iran met in Astana, Kazakhstan for two days with representatives of Syrian Arab Republic and the Syrian Opposition Movement. On the second day, January 24, 2017, the officials agreed to jointly monitor a fragile ceasefire between the warring parties established on December 30, 2016. The latest deal was called a possible step toward a political solution to end the six-year war. The UN Syria envoy Staffan de Mistura was also present at the January talks. 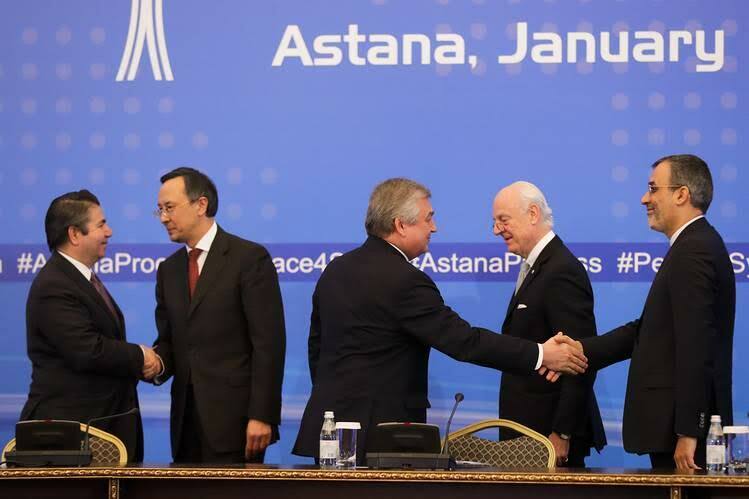 At a news conference in Astana, de Mistura said, “When we came here to Astana, our immediate priority was to ensure the consolidation of the ceasefire.” He went on to say that in the past that previous cease-fires broke down because of a lack of monitoring and agreement on how to implement them. Under the new agreement, the monitors are to ensure full compliance with the truce and prevent provocations, according to a joint statement issued by three sponsors. The arrangements for monitoring the cease-fire and enforcing it would be decided at later meetings. The Assad regime and Syrian opposition both said they supported the plan. However, significantly different views were expressed by the Assad regime and opposition rebels over what those systems to monitor and enforce should be. The parties planned to reconvene a month later in Geneva for UN-sponsored talks. Russia, which supports the Assad regime, and Turkey, which supports some rebel groups, explained last week they hoped the talks would begin to map the outlines of a political settlement to end the conflict. As the talks progressed, however, both sides tempered expectations, saying the aim in Astana was to buttress the fragile truce as a foundation for more political talks later. The administration of former US President Barack Obama was a primary supporter of Syrian Opposition Movement and the effort by its armed rebels to shape events on the ground to force Assad regime to talks to discuss the transition to a new government. That effort has largely been unsuccessful. The new administration of US President Donald Trump did not push for a role in what were albeit at the Russian-led talks. Instead, the Trump administration chose not to send a delegation, and the US was represented by the US ambassador to Kazakhstan. Moscow’s envoy to the talks, Alexander Lavrentyev, told reporters that Russia would welcome the US taking a more active role in attempts to resolve the conflict. This was ostensibly an invitation for the Trump administration to fully participate in what Russia hopes will be on-going talks. Russia’s invitation “to take a more active role” on Syria appears to reveal a change of heart in the Kremlin on the US with the advent of the Trump administration. Perhaps it may even serve as evidence that at least on some foreign policy issues, Putin is not locked into a single intent, immutable. By the end of the Obama administration, the US-Russia relationship stood in ruins. So enervated was former US Secretary of State John Kerry, and other officials, with the search for common ground with Russia on Syria that the effort was essentially suspended. While the invitation from Lavrentyev is laudable and was likely appreciated by the Trump administration, there is far more involved in repairing the broken relationship between the US and Russia than opening the door with an invitation to participate in Russian-led Syria talks. There is also far more to Syria than the talks. US administrations do not formulate their policies and action based on invitations or exchanges of short public statements but through the work of federal employees engaged in the daily task of analyzing situations, the development of policies and policy approaches, and the formal implementation of those policies through diplomacy, and when appropriate, the utilization of other tools of national power. That process has been somewhat disrupted by the resignation of the entire senior level of management officials at the US Department of State during the last week of January 2017. Reportedly, it was part of a spate of retirements by senior Foreign Service officers. There was boldness going forward with Syria peace talks without the US and working with Turkey and others instead to secure a sustainable peace. However, it seems Russia has found that the dynamics of bringing the warring parties in Syria together for anything is daunting. What Russia may really be doing is inviting the Trump administration to further tie the US to the morass in Syria beyond the anti-ISIS fight. That would be a step of significant consequence, requiring considerable review. There has been some mumbling in the US news media and in social networks about an unverified draft executive order that indicates Trump plans to use the US military, in tandem with the State Department, to establish and protect refugee camps in Syria and neighboring countries. Syria was genuinely broached in a telephone conversation on January 28, 2017 between Trump and Russian Federation President Vladimir Putin. According to the Kremlin, the most tangible outcome of the phone call was an understanding that jointly fighting international terrorism was a priority and that the two countries should cooperate in Syria. While admitting that Syria was discussed, the White House characterized the call more casually as “a congratulatory call” initiated by Putin. The Trump administration will act regarding Syria, but it will do so when it chooses, in an appropriate, measured way. A policy with varied approaches to the many aspects of the Syria issue will eventually be articulated. However, most intriguing has been Russia’s interest in connecting with Trump on Syria rather than any other faced by both countries. That is the focus of the discussion here. Russian Federation President Vladimir Putin (above). It should have behooved Putin to consider how significant cooperation between the US and Russia in the fight against Islamic militant groups during the administration of US President Barack Obama then might set the stage for close and effective cooperation between the two countries in the next administration, especially regarding the peace talks and postwar reconstruction in Syria. Now cooperation is somewhat uncertain. On September 15, 2015, at a meeting of the Collective Security Treaty Organization in Dushanbe Tajikistan, Putin explained Russia’s military support and intervention in Syria. He stated, “We support the government of Syria in its opposition to terrorist aggression. 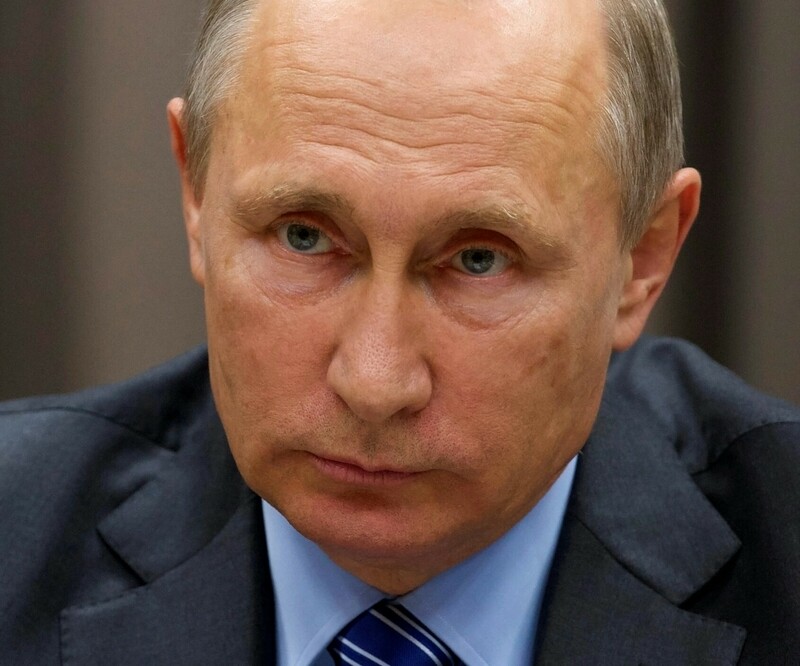 We have provided and will provide necessary military and technical support and call on other nations to join us.” Putin explained the exodus of refugees toward Europe and the crisis in Syria was a result of the support foreign powers provided the Syrian Opposition rebels. He said, “I would like to note that people are fleeing Syria because of the military actions that were largely imposed externally by deliveries of weapons and other special equipment. People are fleeing to escape the atrocities committed by terrorists.” Putin went on to state, “[The refugees] are fleeing from radicals, above all. And if Russia had not supported Syria, the situation in this country would have been worse than in Libya, and the stream of refugees would have been even greater.” Encouraged by advisers, Putin sensed not only a chance for Russia to shore up one of its remaining allies in the Middle East, but the chance to reassert Russia’s role as a global power. He was able to demonstrate that Russia could succeed where the Obama administration had floundered. Since September 2015, Russia, along with its allies, have destroyed ISIS units, material, command, control, communication and intelligence and training facilities and has returned a considerable amount of Syrian territory back into the hands of Syrian Arab Republic President Bashar al-Assad. True, there are many foreign military forces operating in Syria, but the effort of Russia and its allies is a very visible, full-scale, multidimensional military operation. Russia has managed to shape events on the ground in Syria in order to “stabilize the legitimate authority” of Assad. Russia also seeks to defeat ISIS by annihilating its military formations in the field, eliminating its leadership, and eviscerating its so-called Islamic Caliphate to the extent that the organization will never be able to resurrect itself. In the process, the fighting has claimed some of the Russian Federation Armed Forces’ most capable soldiers. 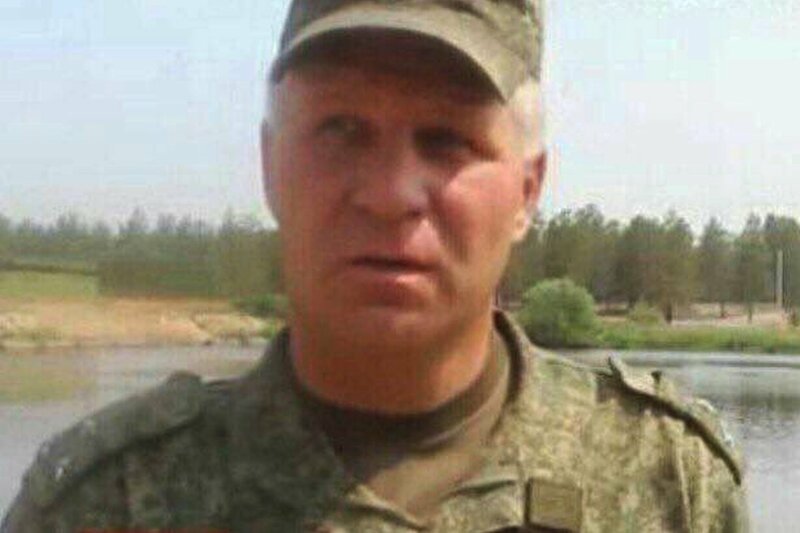 Most recently, Russian Federation Army Colonel Ruslan Galitsky was killed in Aleppo, Syria. Putin personally announced that Galitsky had suffered fatal wounds when a Russian military field hospital in Aleppo’s al-Furqan neighborhood was struck by artillery fire on December 2, 2016. According to the Russian state-owned RIA Novosti news agency, Galitsky was acting as a military adviser to the Syrian Arab Army during its rapid three-week advance through about 75 percent of East Aleppo. It was reported that Galitsky was due to be promoted to the rank of major-general on December 12, 2016. 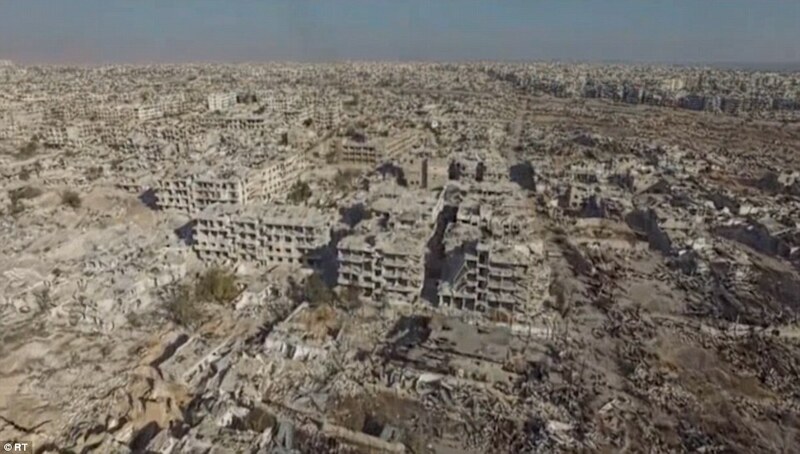 Since September 2015, Russia, along with its allies, have destroyed ISIS units, materiél, command, control, communication and intelligence and training facilities and has returned a considerable amount territory back into the hands of Syrian Arab Republic President Bashar al-Assad. In the process, the fighting has claimed some of the Russian Federation Armed Forces’ most capable soldiers. Counted among those lost is Russian Federation Army Colonel Ruslan Galitsky (above). In diplomacy, words and behavior matter absolutely, and there must be a certain amiability and gentleness in communications and interactions in order to create the environment for the development of mutual respect and understanding. It seems very uncharacteristic of Moscow in the midst of what Russian officials touted as a foreign policy success to invite the Trump administration to become more engaged with it on Syria. Still, even knowing it would mean sharing the limelight with the US, Russia appeared to have the desire to include the US in the process. To make perfunctory or platitudinous gesture for the US to become more engaged in Syria without any real desire for such cooperation could have potentially created a negative situation. The Russia could have convince the US to work with it, only to discover that the approaches of the two countries were not compatible. Far worse than both of those possibility would be the discovery that the invitation was a hoax. Certainly, Moscow had to expect that although Lavrentyev spoke with such comfortable words, it could not be acted upon immediately. Trump administration undoubtedly has it own thoughts and plans for Syria, but at the same time, it would very likely want to discern the full meaning of Russia’s “suggestion.” The decision was based on some rationale. There is the possibility that Moscow’s invitation for the US join the Syria talks was a trial balloon floated off with the hope that if the Trump Administration might be interested in investing itself in Syria as part of its policy planning on the Middle East, counter terrorism, and possibly its Russia policy. Moscow seems very open to engagement. On counterterrorism, specifically, perhaps it would like to secure a pledge from the Trump administration that it would work directly with Russia to destroy Islamic militant groups in Syria. Russia has been able to put significant pressure on ISIS, Jabhat Fateh al-Sham, and other Islamic militant groups using its special operations forces–Spetsnaz–and airpower. 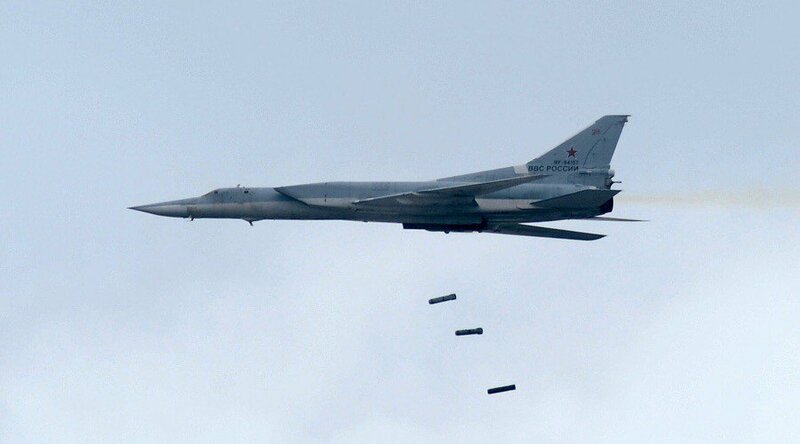 A Russian Federation Tupolev Tu-22M3 bomber (above). Moscow appears very open to engagement with the Trump administration on counter terrorism. It seems Moscow would like to secure a pledge from the Trump administration that it would work directly with Russia to destroy Islamic militant groups in Syria. The Russian Federation Armed Forces have already been able to put significant pressure on ISIS, Jabhat Fateh al-Sham, and other Islamic militant groups using its special operations forces and airpower. There has been no formal articulation of a Syria policy and immediate approaches for its implementation by the Trump White House or State Department. That makes it difficult to see what could have impelled Russia to suggest greater US involvement in Syria. Lacking any formal statements from the Trump administration on Syria to analyze, it could very well be that some in the Kremlin have turned to US news media interpretations of political events and decisions of the Trump Administration. For example, on January 26, 2017, the Guardian reported: “Trump had earlier also appeared to fall into line with Russia’s approach towards Syria, which had been to bomb the anti-Assad opposition into submission, before turning its attention towards a mutual foe, ISIS.” As for taking an unconventional, high profile approach to diplomacy, it may have been an effort to match the idea popularly promoted in the US media that it is the Trump administration’s preferred foreign policy tack. When one is less certain about the objective truth, the possibility that one might be drawn elsewhere for answers increases. It is unclear how Moscow thought Lavrentyev’s invitation would be processed within the US foreign policy apparatus. Most recently, there have been significant changes in the US Department of State. According to the Washington Post, on January 25, 2017, Patrick Kennedy, Undersecretary for Management, Assistant Secretary of State for Administration Joyce Anne Barr, Assistant Secretary of State for Consular Affairs Michele Bond, and the Director of the Office of Foreign Missions, Ambassador Gentry Smith resigned from their posts. In addition, Assistant Secretary of State for Diplomatic Security Gregory Starr retired January 20, 2017, and the director of the Bureau of Overseas Building Operations, Lydia Muniz, departed the same day. While the Trump might have eventually replaced these officials, career Foreign Service officers as them are crucial to the State Department’s many functions, particularly the implementation of an administration’s agenda. It could very well be that policy analysts in Moscow, as much as policy analysts in other national capitals, may have used their analysis of the “America First Foreign Policy” to base conclusions on prospective Trump administration policies. Judgments made would need to have been deemed satisfactory enough to take action on. Given the statement’s mention of counterterrorism and the determination to pursue the issue vigorously, it would naturally follow that the judgments on which Russian analysts would have been most confident would concern counterterrorism and how it might relate to Syria. Absent this possibility, what impelled Russia to suggest greater US involvement in Syria truly becomes a mystery. Ut desint vires tamen est laudanda voluntas. (Even if it is beyond one’s power, the will [to try] is still worthy of praise.) Surely, Moscow would prefer that Western foreign policy analysts saved their ministrations for officials of their own countries. Nevertheless, how Moscow may have perceived relations with the Trump administration on Syria before authorizing Lavrentyev’s invitation, what it perceived the US footprint in Syria would be following a renewed investment there, and how the US role might impact Russia, as well as its current partners on Syria is worth considering. If Russia’s decision on cooperating with the US on Syria was based on conclusions reached by Russian analyst as postulated here, it would be interesting to consider gaps that likely existed in their understanding of Trump’s concepts and prospective decisions on US foreign policy. The list of issues which Russian analysts would need to consider and for which they would need the right answers would be lengthy. Some of the important considerations for Moscow would likely have been: 1) bridging the diplomacy gap on Syria; 2) connecting on counterterrorism and safe zone; 3) establishing an understanding on Assad; 4) handling the Syrian rebels; 5) managing the peace talks; 6) getting the US to accept Iran’s role in Syria; 7) discerning US-Turkey cooperation; and, 8) postwar peace-enforcement and reconstruction. One could postulate that Russia’s interest in including the US in its Syria peace talks now is a display of newly found respect for the US Presidency, a very congenial welcome to the new administration with hope it would be perceived a sign of Moscow’s desire for improved relations, or an attempted appeal to the pride and ego of new US officials. While on the outside, Trump may appear to some as audacious, unpredictable, aggressive, on the inside Trump is thoughtful, disciplined, under control, and tough. The Kremlin might keep in mind is that much as Putin, Trump will hardly interested in diffusing tension by amiability, a hug or a slap on the back, an affected joviality to initiate dialogue. Trying to diffuse tension with Trump in this way is to play the minstrel. It will signal insecurity. Russia has not provided a useful articulation of its hopes for relations with the Trump administration which would be helpful to the White House on some policy planning. It would also be helpful if Moscow articulated a reasonable cause for Russia’s decision to break contact with the Obama administration on Syria, or exclude the US in its talks in Astana. Anger is not an acceptable rationale but very often the basis for poor decisions. Moscow should realize that the Trump administration indeed represents a new beginning. It will seek better ties with other countries and better deals on anything negotiated by the Obama administration. Still, that does not necessarily mean everything that was Obama’s must be deracinated. Trump is very patriotic, and while he may not have agreed with Obama’s policies and approaches, he would certainly want other governments to display respect for a sitting US president. The reality is Russian behavior toward Obama Presidency at some level may factor into his perceptions of Russia. It is unclear whether there are any other steps other than Lavrentyev’s invitation, planned to help bridge diplomatic gap between the US and Russia on Syria. Having taken the uncongenial and provocative step of excluding the US from its peace talks in Astana, and terminating discussions on Syria with the US, Russia’s attempt to revive what has been broken is being attempted with almost no diplomatic foundation to build upon. Former US Secretary of State John Kerry very likely explained to his counterpart Russian Federation Foreign Minister Sergei Lavrov and Putin, himself, that reaching an agreement during the Obama administration on Syria and coordinating effectively under that agreement and others that might have been reached, would increase the possibility that US-Russian coordination at that level would be preserved by the next US administration. It would have been a simple statement of truth as much as an effort at fence mending. It should have behooved Putin to consider how significant cooperation between the US and Russia in the fight against Islamic militant groups then might set the stage for close and effective cooperation between the two countries in the next administration, especially on a postwar reconstruction and peace-enforcement mission in Syria. A feasible point on which Russia might build new diplomatic relations on Syria would be US-Russian military coordination cooperation on Syria to ensure that the two countries’ air forces operate safely and that the risk of accidental confrontation or collision is minimized. Those talks were set up as a result of a proposal proffered by US Secretary of State John Kerry to share intelligence with Russia and coordinate airstrikes against ISIS and other Islamic militant groups. Russia might want to provide a positive assessment of the status of US-Russia air coordination on Syria. 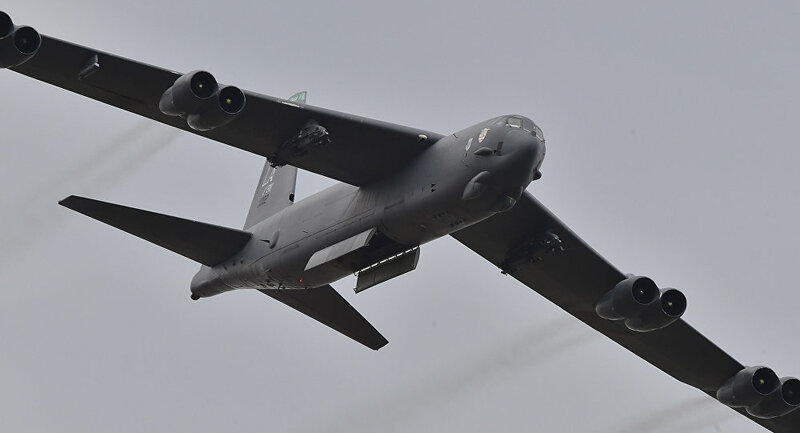 A US B-52H bomber (above) Even without a formal articulation of its foreign and national security policies, the Trump administration’s intentions regarding counterterrorism have been explicit. Trump is ready to respond to terrorists groups with varied means to include stealthy, covert special operations raid executed with surgical precision to airstrikes of unimaginable destructive power. Given that diplomatic efforts between the US and Russia on Syria near the Obama administration’s terminus were discontinuous, it is difficult to see how Moscow would have any confidence that the Trump administration would be interested in diplomatic efforts on Syria that would bridge the gap. Prospective diplomatic efforts might include talks on the US role in the Russian-led Syria peace talks, a new US-Russia partnership in Middle East, or counterterrorism. The draft executive order circulating on social media in January 2017 was first obtained and published by the Huffington Post, Trump envisioned establishing “safe zones” both inside Syria and in neighboring countries that will be used to “protect vulnerable Syrian populations” while they “await firm settlement” either elsewhere in Syria or in other countries. The document alludes to Trump’s controversial calls to prevent people fleeing the war-torn country from entering the US. 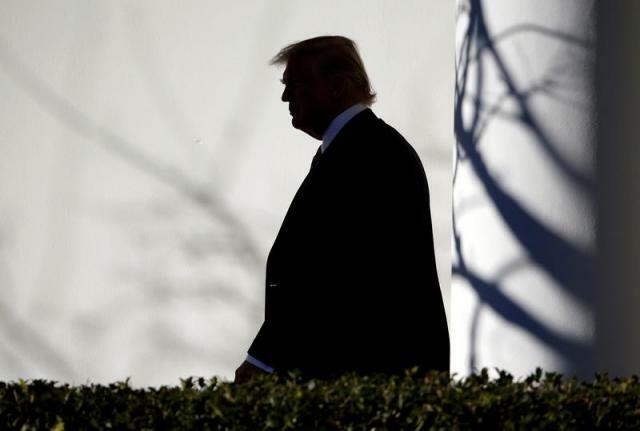 It further explained that according to a draft executive order along with other steps with the goal of preventing future terrorist attacks in the US. Trump indicates he wants to see a plan by late April. The draft executive order was unverified. Some believe Trump will likely withdraw the matter due to tough logistical and political challenges associated with it. Even without a formal articulation of its foreign and national security policies, the Trump administration’s intentions with regard to counterterrorism may have been explicit enough. He appears ready to respond to terrorists groups with varied means to include stealthy, covert special operations raid executed with surgical precision to airstrikes of unimaginable destructive power. As the capital of ISIS’ now dwindling Islamic Caliphate is located in Syria, it could be postulated that the country should hold some relevance regarding the administration’s foreign policy. It could seen as prospective rationale for Trump administration to invest time and effort on the political situation in Syria. Still, it would be difficult to discern solely from that angle what the administration’s interest and approaches to other aspects of the Syria issue might be. It is uncertain how the Trump administration will respond to Syrian Opposition Movement rebels on the ground. The Obama administration in 2012 to provide the Syrian Opposition Movement with its support in the hope that Assad could be pressured to the negotiating table by Free Syrian Army advances and eventually agree to step down under a settlement. However, the US effort in Syria was designed and recognized by many as work on the margins. For nearly five years, the rebels were, for the most part, a disappointment as a military force. Indeed, after the Obama administration took on what proved to be the thankless task of supporting the Syrian Opposition rebels on the ground, complaints were frequently heard from senior commanders of the Supreme Military Council, the opposition’s military wing and commanders of their forces in the field, the Free Syrian Army (FSA), as well. Their grievances belie the fact that the Syrian opposition military leaders, after four years of war, have failed to unify the many groups in the Free Syrian Army into a cohesive fighting force and have been unable, without foreign assistance, to enhance their fighters capabilities. Only with US direction were FSA units and People’s Protection Units (YPG) of the Kurdish Democratic Unity Party in the northeast Syria able to unite as the Syrian Democratic Forces. The rebels’ leaders had been remiss in devising their own plans for the effective use of their forces against ISIS and the Syrian Arab Armed Forces. From the beginning of their movement, Syrian opposition leaders should have been mature enough, and worldly wise enough, to understand that neither US nor any other country owed them anything. The Syrian Opposition’s Supreme Military Council, and senior FSA commanders should have expected more from themselves before demanding so much of others. The chance that Syrian Opposition Movement rebels on the ground in Syria and its political leaders would gain and retain the support of the Trump administration will be slim if their predilection toward being demanding and difficult to coordinate politically persists. There are presently 500 US Special Operations troops in Syria training, equipping, and assisting Syrian Opposition rebels. Their help has allowed the rebels achieve some big things. The rebels march toward Raqqa is an example of that. 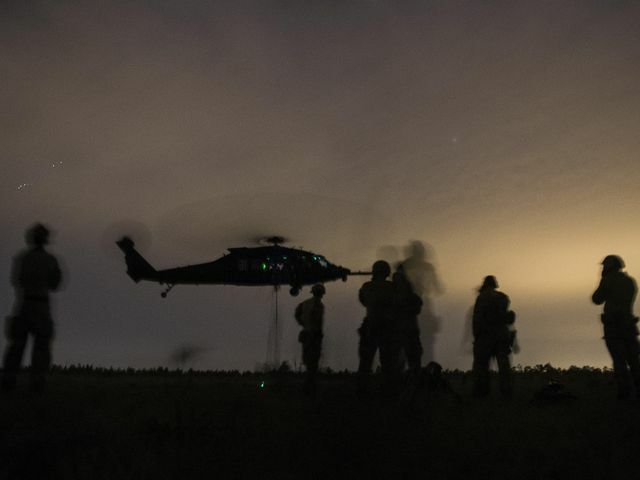 Through the assistance of US Special Operations advisers, the rebels have been able to coordinate their movements with planners of the US-led anti-ISIS coalition air campaign. However, there is still no evidence that the rebels possess any capability to shape the overall struggle in a way now that would put real pressure on Assad. For many rebels scattered around Syria, everyday is fight for survival as they hope for a miracle. ISIS and other Islamic militant groups linked to Al-Qaeda, such as the former Jabhat al-Nusra and its reported offshoot Khorasan, have managed find advantage in the Syrian opposition’s failings throughout the war. By attacking mainstream FSA units that were trying to defeat Assad’s troops and allies, the Islamic militants have succeeded in making the Syrian opposition’s situation far worse. On top of the damage caused by their attacks on the FSA, Islamic militant groups continue to commit countless atrocities against the Syrian people. The Islamic militant groups were never oriented toward Syria’s transition to a democratic form of government. ISIS has included territory they hold in Syria as part of a massive Islamic State, an Islamic Caliphate, crossing into Iraq that is solely under their control, ruled under Sharia law. A syncretistic merger of mainstream opposition and Islamic militant ideas on governance was never going to occur. Meanwhile, ISIS, Jabhat al-Nusra, and other Islamic militant groups became stronger almost daily. Their strength has long since passed the point at which mainstream Syrian Opposition forces could independently contend with them. US Special Operations troops in Syria (above). With the help of 500 US Special Operations troops who were sent into Syria to train, equip, and assist them, the Syrian Opposition rebels have managed to achieve some things. Their march toward Raqqa is an example of that. However, there is still no evidence of a capability to shape the conflict in a way now that would put real pressure on Assad. For many Syrian Opposition rebels, everyday is fight for survival as they hope for a miracle. An authentic Russian assessment of the Syrian opposition rebels at this point could only be that they will not be able to shape the military situation on ground in a way to force Assad to talks for arranging his removal from office and setting up a transitional government. The rebels have lost many fighters, and a significant portion of their territorial gain. They clearly have not influenced Assad’s thinking or decision-making. From a Russian military perspective, there is not too much for the Trump administration to go into Syria to support. Russia has been effective at halting rebels efforts on the ground. In reality, the US has been the only obstacle to ensuring the rebels’ destruction by Russian Federation and Syrian Arab air power. 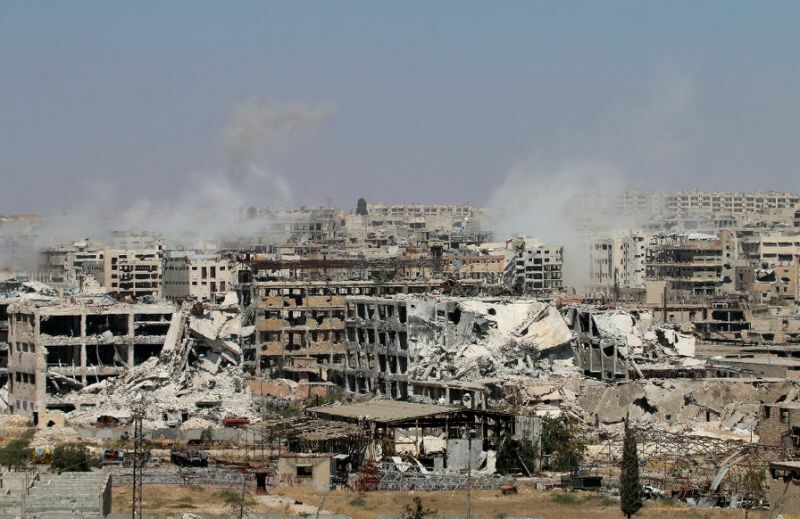 Some analysts believe the Battle of Aleppo truly signaled the end for rebels. Russia apparently plans to remain in Syria at relatively high levels and continue to provide military assistance to Assad’s forces. Without any US assistance, there is no chance whatsoever that the rebels could keep fighting at all. Given that, the Moscow may find it difficult to believe that Trump administration would pump more time, blood, and money into the rebel effort. As there is no path for the Syrian Opposition Movement to secure a role in the Damascus government, Moscow may doubt that the Trump administration would be willing to negotiate for them at the Syrian peace talks. Pressing for the demand of the Obama administration that a transition government be created in Damascus and that Assad commit to stepping down would be unreasonable. Likewise, it might be considered unnecessary for the Trump administration to seek a settlement on territory. The Syrian Opposition Movement was a political movement not territorial one, in which an autonomous state is sought. The movement of the Kurdish Democratic Unity Party, however, is a struggle for autonomy. To that extent, it may be an issue which the Trump administration could get behind. On the other hand, despite glowing reports on what had been achieved in Astana, Moscow discovered in December 2016 and January 2017 that managing peace talks with the warring parties was not easy. There was difficulty getting the Syrian Opposition to agree to anyrhing. This was repeatedly the case when the Obama administration was involved. Moreover, during previous talks, foreign diplomats were required to devote a significant amount of time acting as mediators to hold the Syrian Opposition’s diverse groups together. While the opposition delegation was formed mostly of rebel commanders rather than political leaders, it was still quick to reject proposal for direct talks with the Assad regime because of its continued bombardment of opposition-held areas. Russia drummed up political support for the talks in Astana, which appeared aimed at leveraging its rejuvenated ties with Turkey and to simply give Moscow a greater voice in efforts to broker a settlement. However, Russian officials have lowered expectations that a major breakthrough would result from its efforts. Making things worse, during the talks, fierce infighting between rebel groups erupted in Syria, pitting at least one faction that supported the talks against another that was excluded. The rebels went into the talks at their weakest point so far in the war and this new eruption of violence threatened to fracture the opposition even further. Moscow may very well sense that it needs the assistance of the US to manage the talks. Before its next contact with the Trump administration, Moscow will undoubtedly consider what cooperative role the US could play that would allow for the full exploitation of its capabilities in the anti-ISIS effort. However, if Moscow wants to cooperate with the administration on Syria, it must create an environment that will facilitate such cooperation. There is the likelihood that Trump administration will not accept Assad. For the moment, the transition of Assad regime to new politically inclusive government is the standing US policy. If the Trump administration by chance decided to cooperate with Russia on Syria at the moment, it would signal its acceptance of Assad’s presidency as it is Russia’s policy to fully support it. To believe that might happen is to deny reality. Russia must decide how it will negotiate on Assad before it discusses anything about Syria with the Trump administration. If the Trump administration has no interest in working with Assad, it could hardly be expected that the administration would provide US financial assistance for Syria’s reconstruction, helping to rebuild his regime. Russia needs to assess whether there any strong motivation might exist for the Trump administration to be involved. At best, the administration would only give reconstruction consideration if it was presented with some opportunity, a role of clear benefit to the US. Alternatively, Moscow could make itself completely open to responding to the Trump administration’s wishes on Syria. Absent either, there would hardly be any point to pursuing the matter. Russian analysts should have assessed that Assad’s future would need to be an important factor in the Kremlin’s calculus on reconstruction. Despite glowing reports on what had been achieved in Astana, Moscow actually found that managing the peace talks was not easy. It faced particular difficulty keeping the Syrian Opposition together. It has repeatedly been the case during Syrian peace talks that foreign diplomats were required to devote much time acting as mediators to hold the Syrian Opposition’s diverse groups together. Moscow may very well sense that it needs the assistance of the US to manage the talks. Russian analysts should have assessed that the Trump administration may not want to work in conjunction with Iran on Syria. The Trump administration has explicitly indicated that it is an avid supporter of Israel, whose leaders have referred to Iran as an existential threat. Further, during the 2016 Presidential Campaign, Trump expressed the desire to alter or scrap the Iran nuclear deal. His administration’s thinking and approach to the nuclear deal may impact its desire to participate in the Syria peace talks while Iran was present. Russia would also need to establish what Iran’s reaction would be to possible US involvement in the talks. Reportedly, Iran has made huge sacrifices in blood and money in Syria, and is still doing so. Its leaders will most likely feel that their country deserves standing greater, but certainly no less than the US on any issues concerning Syria. It is unclear whether the Russians would want to do anything to negatively affect the strong ties it has developed with Iran in order to establish cooperation with the US. There are other matters that might greatly concern the Trump administration. At a UN meeting in Vienna on November 14, 2015, Kerry is said to have proposed allowing all Syrians, “including members of the diaspora” participate in the vote. He was betting that if Syrians around the world can participate in the vote, Assad will not be able to win, his regime likely has a limited degree of influence within Syria and the Syrian diaspora worldwide, including among refugees in massive camps in Jordan and Turkey or on their own elsewhere. As December 30, 2015 greatcharlie post explained, Russia and Iran would hardly allow the situation to slip from their hands so easily. The Iranian Revolutionary Guards Corps (IRGC), IRGC-Quds Force, the Iranian Army, and the Iranian Ministry of Intelligence and Security would do much to influence the outcome on the battlefield but also will likely do much to help the Assad regime influence the result of elections despite UN monitors, by helping to “create support” for Assad and “coping” with regime opponents. Reportedly, the Assad regime and the Iranians have engaged in a bit of ethnic cleansing. For example, Sunnis in West Damascus were forced to resettle in Kefraya and Fua. Iraqi and Lebanese Shias among those who replace them. Shia residents in Kefraya and Fua have been moved to formerly Sunni areas near Damascus. The Trump administration will likely point to this matter and will unlikely approve of Iran’s actions. Moscow will need to develop responses to Trump administration questions about that. Russia analysts would likely assess for Moscow that if the US enters the fray on Syria, Turkey would be forced to establish a balance between the relations with Russia and the US. While Turkey has a new linkage with Russia on Syria, it has a strong linkage with the US, its long-time NATO ally, on Syria as a result of an agreement with the Obama administration to take on the role of supporting US-backed Syrian Opposition rebels. Moreover, how Turkey intended to proceed regarding its support of those US-backed rebels’ campaign is unknown. This issue will take on even greater importance if the Trump administration decided to reduce or halt financial support to Ankara that may have assisted Turkish military forces and intelligence services working with Syrian Opposition rebels. Safe zones have been a core demand of the Syrian opposition and were central to Turkey’s Syria policy for much of the past five years. However, Ankara is apparently lukewarm about idea of new safe zones, believing that under its auspices, a sufficient safe zone has already created. Indeed, Turkey has set up its own zone of influence, a de facto safe zone, between the Kurdish enclaves of Jarablus and Irfin, which is aimed primarily at keeping Syrian Kurds from forming a presence along the entire length of its border with Syria, but is also being used as a refuge by some fleeing civilians. Russian analysts may have already assessed that if the US receives significant push back from Turkey on creating new safe zones in Syria, it may temper the Trump administration’s interest in investing the US further in the Syria situation. Countries as Turkey and Jordan would be critical to any plan to create safe zones in country because they would need a steady line of support in order to be sustained. Aleppo (above). US cooperation on reconstruction would be most desirable after any conflict.There would hardly be any motivation for the Trump administration to provide US financial assistance for reconstruction of Syria for Assad. At best, Trump would only give reconstruction consideration if there was a clear benefit to the US. Unless Russia would be open to responding to US wishes on Syria, it is hard see what would draw the US to the enterprise. Russian analysts may have assessed that convincing US to cooperate on the Syria peace talks could create a possible path for for US participation at an important level in the country’s postwar peace-enforcement mission and possibly reconstruction. It is a monumental task that lies ahead. Leaving Syria without at least initiating some complex comprehensive plan for reconstruction and peace-enforcement would be a mistake. That would create ideal conditions for the rejuvenation of ISIS, Jabhat Fateh al-Sham, or the establishment of another Islamic militant group to fill the vacuum of power around the country. That was what occurred in Iraq after US forces departed, the problem in Libya with the removal of the regime of Muammar El-Ghaddafi, and it is a growing problem in Afghanistan. US cooperation on reconstruction would be most desirable after any conflict. Surely, Russian Federation EMERCOM, developed and led by the current Russian Federation Minister of Defense Sergei Shoigu for many years, would have an significant impact on that effort. However, without the financial wherewithal and expertise of the US, Russia’s investment in Syria might amount to nothing in the end. In the international reconstruction effort launched in Bosnia in 1995 under the Dayton Peace Agreement and the creation of the multinational peace-enforcement force in support of the agreement’s implementation, I-FOR (Implementation Force). The US and Russia cooperated as members of that force and the follow-on force, S-FOR (Stabilization Force). US participation in the peace-enforcement and reconstruction effort may also do much to encourage participation from those Arab countries and Western countries as well. Russia, itself, has sought stronger ties with Arab countries, bolstering economic ties with Qatar, the United Arab Emirates, Oman, and Kuwait and diplomatic overtures with Algeria, Iraq, and Egypt. Russia’s hope was that courting those countries would make them more receptive to its’ calls to assist in finding a political solution for Syria. It was also hoped those countries would eventually be responsive to a campaign by Russia to gain financial support for Syria’s reconstruction. Still, there is sense of stability that may come from US participation in the Syria effort. Knowing the US and Russia were cooperating on the ground might create a sense of security among the other countries. The Trump administration, in its nascent days, has set out to accomplish many things, but approaches matters in a way a bit different from previous administrations. Its intent is not to reject or break the US policymaking process, but the change still worries many. Government professionals will soon be put to work implementing numerous administration policies. Once cabinet members and senior executives of the various departments are seated, policy statements on Syria and other issues will be produced. In William Shakespeare’s play The Tragedy of Hamlet, Prince of Denmark, Polonius is a Danish Lord and chief counselor to the king. In Act I Scene iii, his son Laertes is leaving home for France. While sending his son off, Polonius offers him advice on how to behave with integrity and practicality overseas. At the end of a long list of guidelines, Polonius tells Laertes: “This above all: to thine ownself be true. And it must follow, as the night the day. Thou canst not then be false to any man.” Taking an unconventional approach can be called creative, but when it leads to successful outcomes, it must be considered effective. The Trump administration, in its nascent days, has set out to accomplish many things and it is doing them in a way different from that of previous administrations. Change can be disturbing. On foreign policy, it is not the intent of the Trump administration to reject or break the policymaking process. Inevitably, professionals serving in government departments will be put to work implementing numerous administration policies. Trump is aware of the very large foreign affairs and national security apparatus made available to a US president, and knows it is very capable. 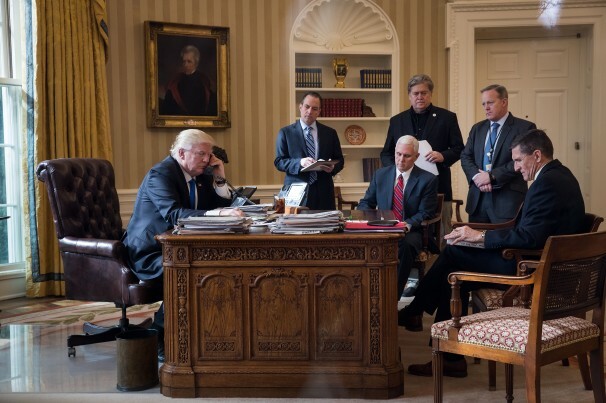 As its cabinet members and senior executives of the various departments are seated, the Trump administration will begin to produce policy statements not only on Syria, but many other issues as well. Moscow’s invitation for the Trump administration to join the Syria effort seems to indicate that Russia would prefer, and if possible encourage, the White House to circumvent the normal policymaking process. Taking approach will put Moscow on nothing but a bad road. Indeed, accomplishing anything that way will be impossible. Despite what may become a persistent voice from overseas, the administration will formulate its policies and advance them at its own pace.